Getting up on a board, standing up for the first time and sinking your paddle into the water to push yourself forward seems something completely new, yet almost natural. Taking up a short cut over the river or a bay, goes back thousands of years. Out guess is that standing up on a vessel and paddling to move forward must have come shortly after sitting in it. So how old is paddle boarding actually? Opinions vary, but guess is, it’s pretty old. It wasn’t that long ago since it became more similar to what is today. turn, propel forward and enjoy surfing in a whole new way. 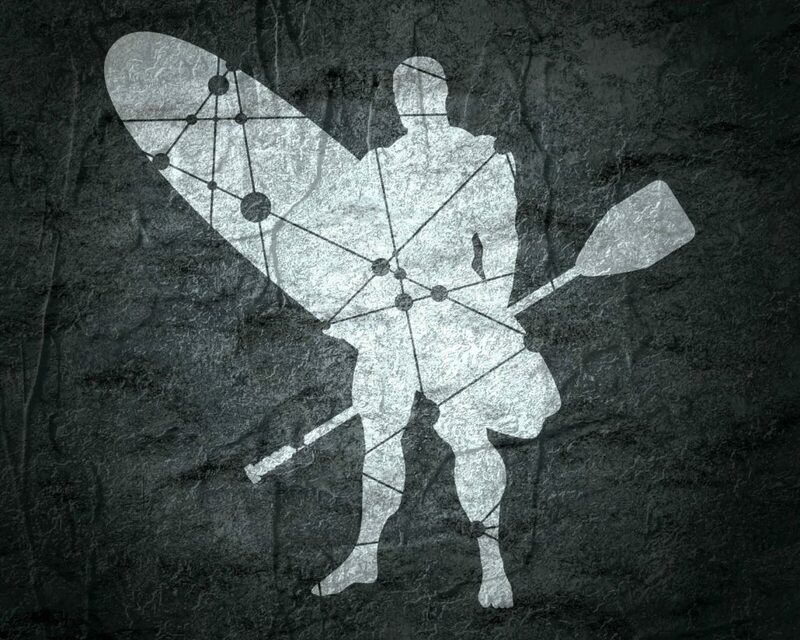 Thus – stand up paddling was born. If it works on waves, it works without them as well. More and more people took up the technique, bringing surfboards from sea shores to rivers and still inland waters. As boards began to vary, so did their use. Stand up paddling became a new way of exploring waters, a competitive sport, a means of transportation, relaxation, meditation and fun. Today, you can see people paddle boarding almost everywhere – from arctic waters to Alpine lakes. What was once fun for two Hawaiian beach boys, grew into an industry that will serve you anything from an insanely long 33ft board, to a rectangular floating yoga mat – giving a growing number of enthusiasts a great variety of choices when it comes to paddling. But what is the next step? So, SUP boards come in all shapes and sizes, but what will truly transform the segment? Looking for parallels in other mobility fields, the answer is clear – electrically propelled boards are an innovation most trend-prognostics see as the next frontier. Funny we should say, that right? But we don’t, we are just one of the companies venturing into the field that enables up-stream, contra-tide, longer exploration stand up paddling. As Red Dot Design Ranking panels states, SipaBoard’s innovation of implementing an e-driven system into a SUP is a reflection of consistent and sustainable design innovation capability. With ever more brands trying to break into the market segment, a Best-of-the-best design award and Red Dot Design Ranking top 15 selection, we are confident, that electricity is going to transform the segment for the future. Go Electric Stand-Up Paddling: Fun, sport or adventure?